HD alarm valves act as a check valves by trapping pressurized water above the clapper and preventing reverse flow from sprinkler piping. 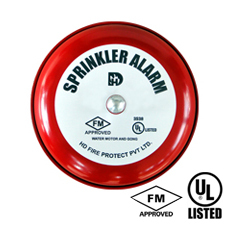 Alarm valves are designed to initiate an alarm through water motor gong bell and/or pressure switch during a sustained flow of water (such as the flow required by an open sprinkler). 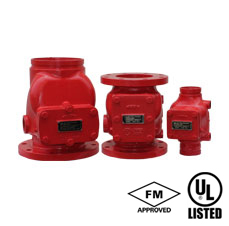 HD alarm valves are UL Listed and FM approved. 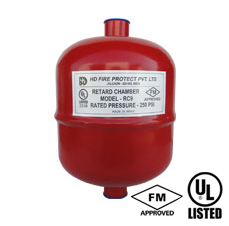 Alarm valves are available with trims consisting of retarding chamber and water motor gong bell. Please refer to product catalogues for approval information, technical specifications and ordering information.